Nearly one out of every 10 Americans has diabetes. More surprising still? One in four people don’t even know they have it. Brush up on this all-too-common condition. 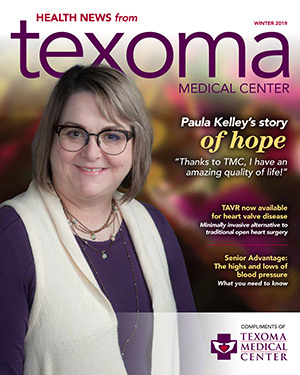 For Paula Kelley, nearly two decades of acid reflux led to serious complications. Read about the surgical solution that helped her feel like herself again. Discover how TAVR, a minimally invasive alternative to open-heart surgery, is transforming recovery times for some patients who undergo aortic valve replacements. High blood pressure can give your heart the wrong kind of workout. Learn why diagnosing this often symptom-free condition is so important and how finding the right treatment can help.